Dramnation is a bespoke whisky + spirits experience business designed to highlight the virtues of spirits through curated appreciation tastings as private, public, corporate and on premise sensory experiences. Operating toSyndey and the greater metro region below is but a few of our core focuses. Public Tasting Events - Our public promoted monthly tastings in local bars and venues. Private Tasting Experiences - A curated bespoke tasting in your nominated location. Great kickstarters for social gatherings, birthdays and celebrations. Whisky + Spirit Bite Nights - Week night events at one of our partner bars with your mates or business associates. Aperitif Cocktail Hour - Much like our Private tastings but with a cocktail hour twist. Corporate to Social Event Tasting Bars - We curate and manage a whisky + spirits tasting bar while your guests network and relax. If there is something specific you would like to discuss that is not listed below please get in contact with us. 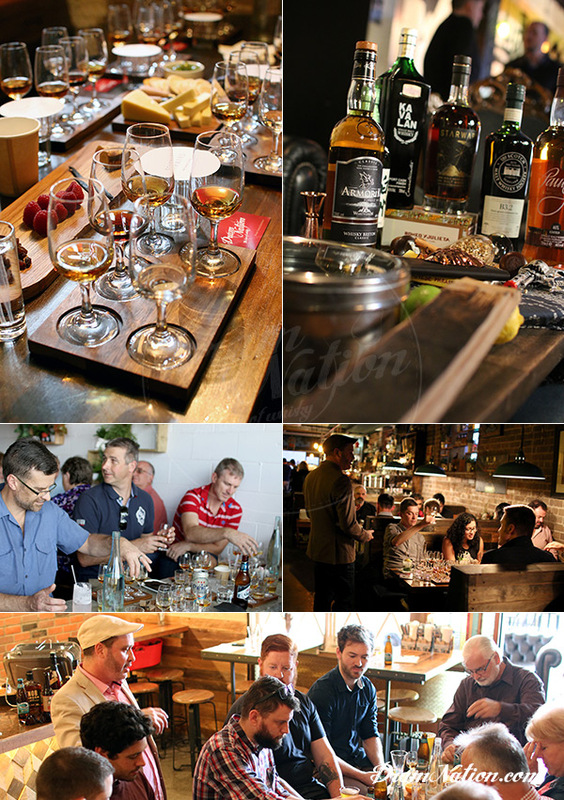 For those already in the whisky + spirits game or just wanting a light experience, Dramnation host single tasting experiences throughout the year at various locations. 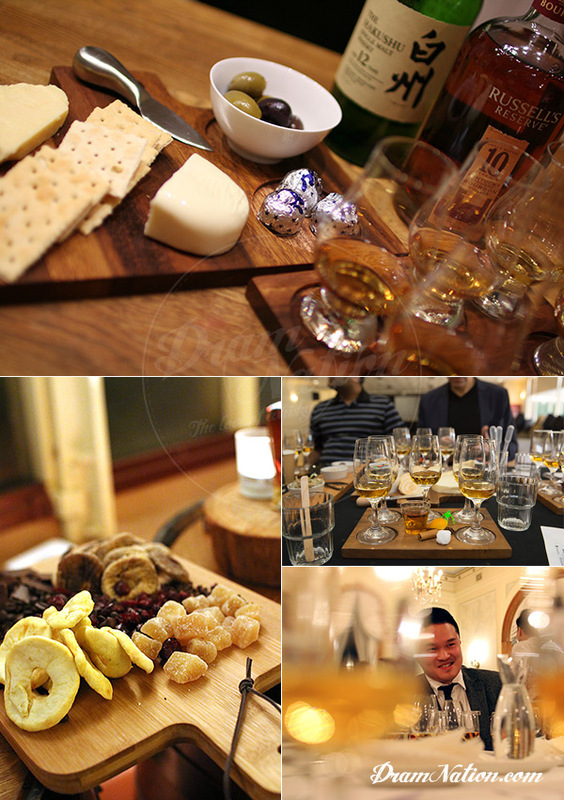 During these single classes you will experience a flight of curated whiskies set against a particular theme. These themes could be - A World Whiskies Tour, A Whisky Brand Vertical Tasting, Peated Whiskies, Regional Based Whiskies, Cask Strengths, or combination of all to name just a few. All tastings include light finger foods, giveaways for interesting questions and a whole lot of fun. Beginners, intermediate appreciators, and connoisseurs. We welcome anyone aged from 18 to 80+ years of age. All you need is an enthusiastic approach to learning about whisky. Public Tasting Experiences will take approximately 120 min to complete. Locations are displayed in the bookings pages. Please ensure you read the What Else Do I Need To Know section below before booking. 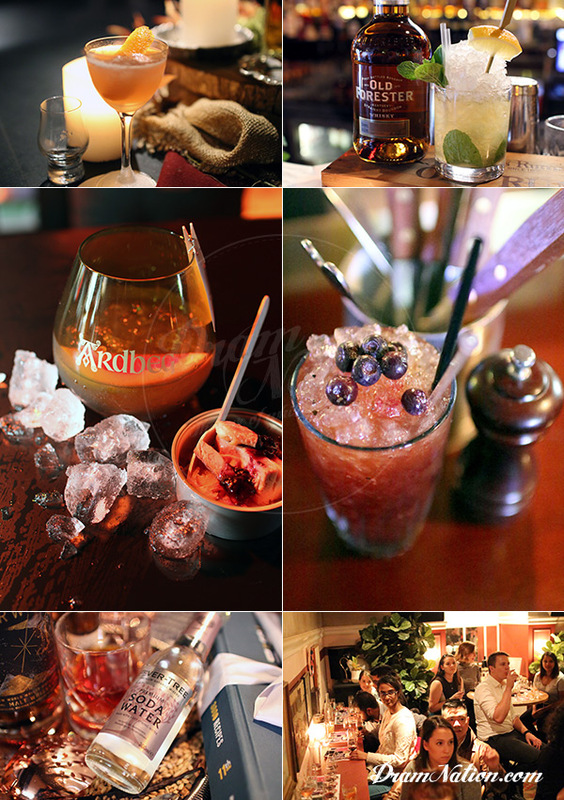 Looking to host a social gathering and have a dabble in whisky + spirits with your close friends? Or maybe you want to make the beginning to an event memorable such as a pre-dinner party or even give your wedding party a special treat. 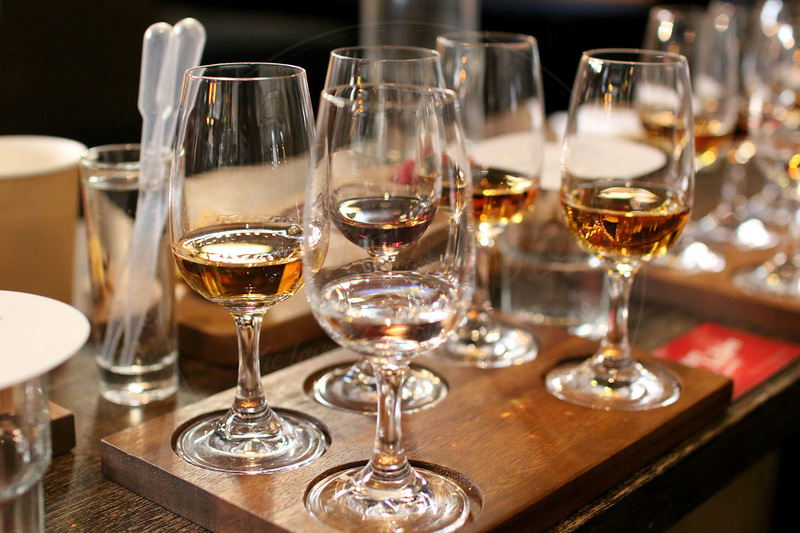 A Whisky or Spirits Flight Tasting, to be held at a location of your choice, is a perfect way to share an experience while learning about whisky at the same time. We will guide you on this shared sensory journey by giving you basics on nosing and tasting whisky as well as providing some sensory flights to make the whole thing a bit more fun. You decide if it is to be a traditional Scotch Malt experience, a Bourbon Blowout with the lads or do a World Whisky flight to really expand your horizons. You sort the location and we bring the rest. Private parties or events, small office get togethers, corporate board room events, poker nights, or even something special for your wedding parties and / or guests of honour. A Whisky Flight Tasting should take between 90min to 120min to complete (setup time is required prior). The location is of your choice be it your home, board room, or private room at your wedding reception. Think outside the box as 3 whiskies in the back of a stretched Hummer can work just as well. *Minimum 6 seatings must be booked and costs may vary depending on the location, style, age, or how many cocktails are chosen. Talk to us to figure it out. Bookings requiring travel outside of a 25km radius of Sydney CBD will attract a travel surcharge of 15% of the total booking cost. Bookings requiring travel outside of a 50km radius of Sydney CBD will attract additional surcharges depending on your location. 50% deposit will be required to confirm booking and full payment is required at least 48 hours prior to the booking. 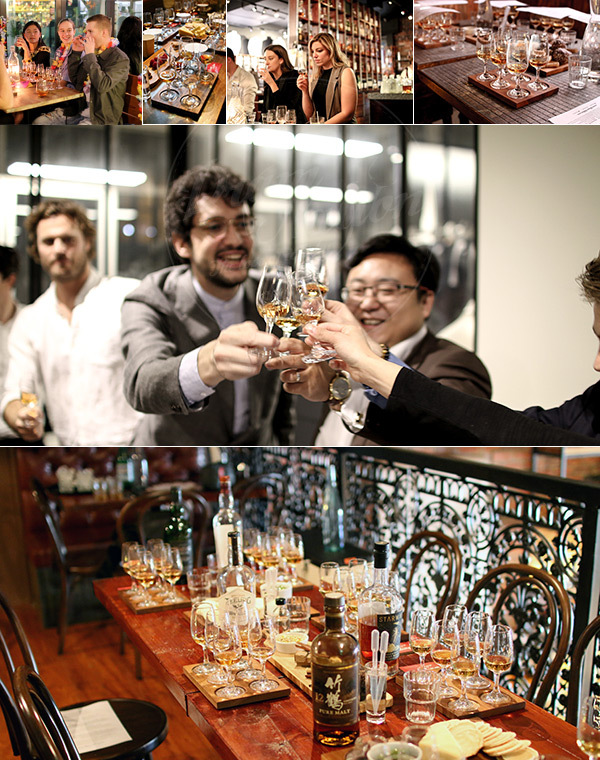 Have you missed a recent Dramnation public tasting or have a few friends you want to share a dram with? Consider Whisky + Spirit Bite Nights. This is an initiative with one specific goal: To utilise our part bottles of whisky from recent tastings to curate small gatherings in The Hills Districts. By utilising these part bottles keeps your experience cost down. Dramnation has partnered with several small bars in The Hills to offer bespoke small tasting experiences for up to a groups of up to 8 guests. Only available on specific week nights held only at our partner bars, we will curate a secret tasting menu of x5 whiskies to be tasted and discussed over a 45min period. A fixed cost is set for $240 for a minimum of 4 up to 8 guests seated. Perfect for a pre-dinner drink or a night out with family, friends or work colleagues. Let us know what you like to explore as our secret menu can be tailored. Each session should take approx 45min to complete. Monday, Tuesday, Wednesday & Thursday only at our nominated partner bar in The Hills subject to availability and stock limitations. Very popular but also very limited. Booking to be paid in advance no refunds available. Make like the Europeans do and find out what the aperitif is all about. Learn about and taste different aperitifs and be shown how to make a refreshing aperitif cocktail to be enjoyed by you and your guests. Generally lasting about 1 - 1.5 hours for the tasting session (some set up time will be required prior), it's the perfect mid afternoon or pre-dinner activity. 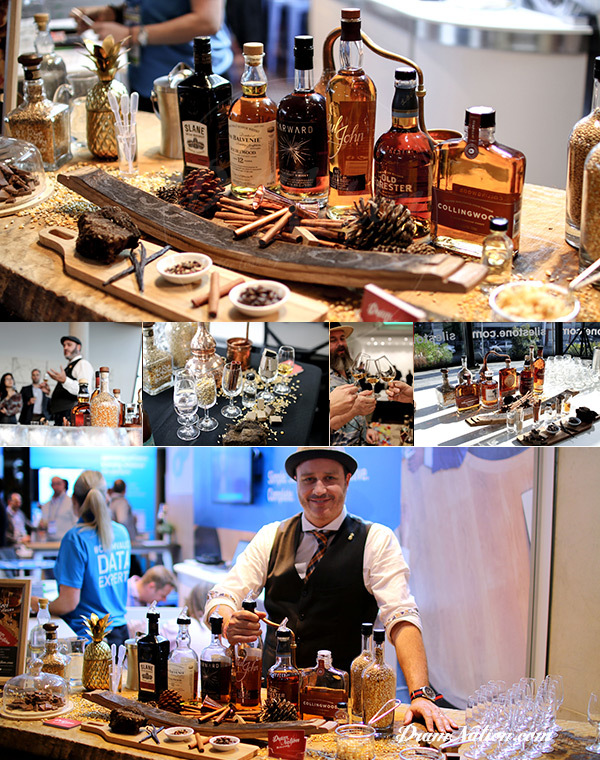 This event does not just focus on whiskies but in fact explores an entire range of spirits in cocktails. Private parties or events, small office get togethers, corporate board room events, poker nights, or even something special for your wedding parties and or guests of honour. Approximately 90min to 120min to complete (setup time is required prior). The location is of your choice be it your home, board room, or private room at your wedding reception. Dramnation delivers high level informative business and corporate tasting experiences via popup tasting bars or sit down master classes. In office sit down tastings are a common way of creating team building exercises, client networking, customer and staff after work rewarding experiences. Alternatively a popup tasting bar at a larger corporate event or social club gathering can deliver interactive alternatives for whisky + spirits enthusiasts. Dramnation has created many on site tasting bar experiences for social clubs, Masonic Lodges, end of year parties and closed corporate networking events to name a few. If you have a large table or open space in your office then we can provide a in office tasting experience. Alternatively consider a golf course, bowls club, hotel or small bar to build your tasting event. Getting in contact with us for ideas and options is the best way to work out a plan for your business. As you can appreciate we have event foundation costs such as beverage, food and venue hire. Due to these factors bookings are non-refundable. You may send someone in your place if notice is given. Please see below. Can I send somone in my place to a course, class or tasting? Yes. Provided you give us notice prior to the class or tasting has begun. The individual taking your place must be 18+ and carrying appropriate identification. Please contact us via our web form with details of the name of the individual taking your place and which date they will be attending. We	will	be	in	contact to confirm the change. If it is under 24hrs prior to the class starting you must call us on 0413047968 in order for us to confirm this change. Copyright © Dramnation - All Rights Reserved. All images remain the rights of Dramnation and all opinions are our own unless otherwise stated.